A lively, informative tour of the Flannery O’Connor Childhood Home (one of the best tours I’ve had at any historical site) reveals insights into the writer’s early years. 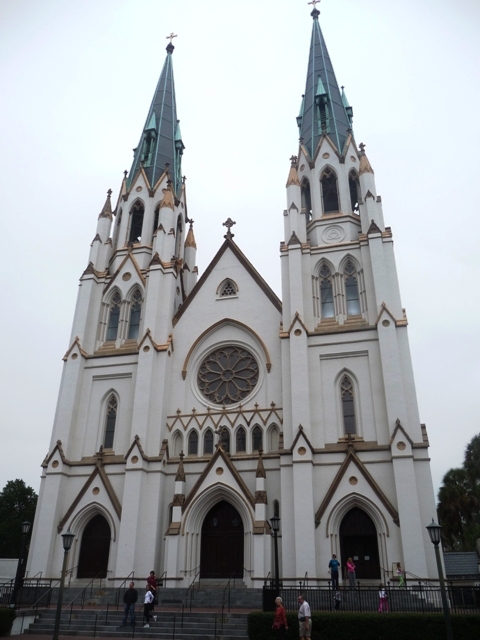 She was born in Savannah, Georgia, on March 25, 1925, and lived in the house until she was thirteen. The abode was recently restored thanks in large part to a donation from literary enthusiasts Linda and Jerry Bruckheimer, the film producer. O’Connor was a precocious child, writing comments in the margins of her books—some of which are on display with her notations, such as Alice in Wonderland, which she panned. 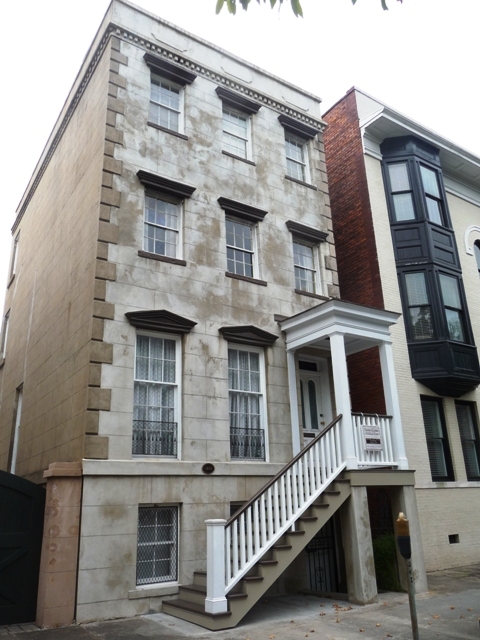 Her childhood in Savannah later provided inspiration for some of her short stories, like “A Circle in the Fire,” which features a child eavesdropping on her mother’s conversation from a second-floor window. The Flannery O’Connor Childhood Home is located along Lafayette Square (above right), one of the city’s 21 historic and picturesque squares. 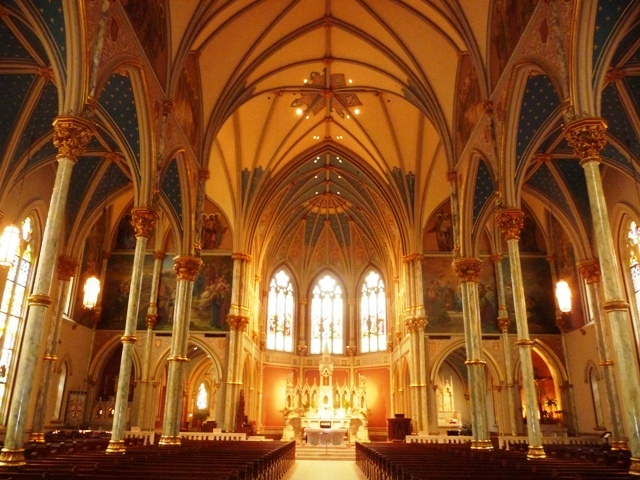 Named for the Marquis de Lafayette, the French hero of the American Revolution, it was laid out in 1837. 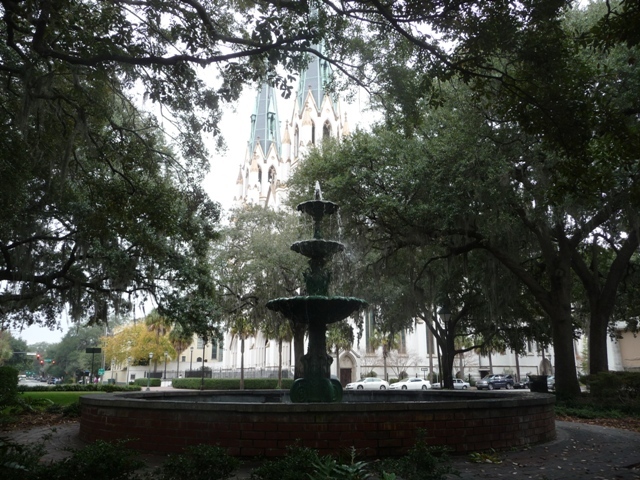 The water in the fountain at its center, which was donated in 1984 to mark the 250th anniversary of Savannah’s founding as a colony, runs green on St. Patrick’s Day. 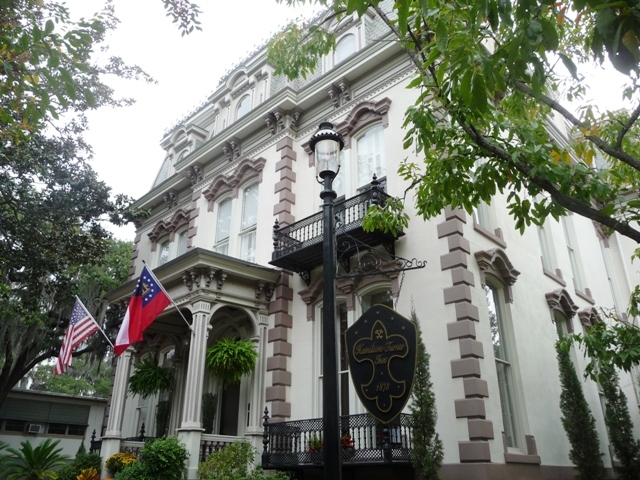 Another historic dwelling on Lafayette Square is the Hamilton-Turner Inn, where rooms are named for famous Savannah figures. Located in a carriage house, the Flannery O’Connor Room features bright blue walls, a decorative iron bed, and French doors opening onto a courtyard patio.